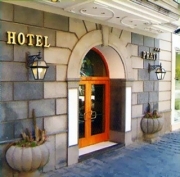 The hotel is situated 200 metres from the main railway station and the subway. In the vicinity of Naples Capodichino airport. Near the motorway A1 (Naples-Rome), exit tangenziale Corso Malta. 15 minutes from the port, (Beverello-Mergellina, boats for Capri, Procida, Ischia, Eolie, Sicily and Sardinia). Quality and courtesy are our visiting card. Walking distance from the Historic Centre, the commercial and business area of Naples, the Hotel Prati is the ideal place to spend a pleasant holiday or a comfortable business trip. Guided by our managerial staff with more than fifty years of experience in the tourist sector, the Hotel Prati is ready to offer suitable hospitality that is required by the clientele. 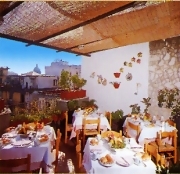 Moreover, the Hotel Prati is able to satisfy the finer palate, thanks to the ability of our chef, received in the charming scenery of the restaurant “Masaniello”. At the Hotel Prati you always feel at home assisted by our multilingual personnel (English, French, Spanish and German). At Hotel Prati courtesy has found home. 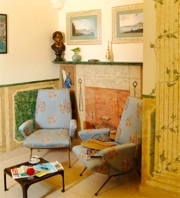 - The tourist coaches can stop outside the hotel entrance. - The garage parking is also suitable for coaches. - Small pets are allowed.